Take a look at the image of this blog. The Jet Skier, skating atop waves that cover vast space at an incredible speed. Imagine how exciting and stimulating this must be. Then witness the scuba diver whose deep world reveals new colors, life, plants, and mysteries that take your breath away. Each experience offers wonder, challenging our view of reality. To appreciate our world requires both views: the deep dive and the skimmed surface. The nature of our information age, however, has captivated us with incredible speed. We were never conditioned or socialized to absorb this level of information with a deep dive. At best we’ve become better jet skiers: we scan, skim and browse items, engaging the surface of life, while missing worlds below. Speed now trumps quality as the coin of the realm. We react quickly to emails and texts rather than responding thoughtfully. We know better, but we cannot help ourselves. There’s an abundance of information, incredible access from a variety of mediums. 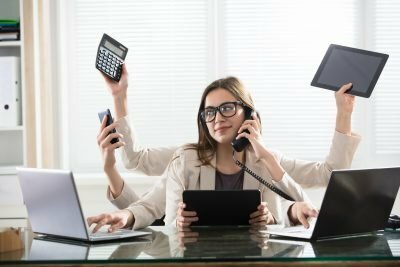 The pressure to keep up, and fear of missing out find us multi-tasking even against decades-old scientific studies, (Gladstones, Regan & Lee 1989) (Pashler 1994) that have definitively shown Multitasking undermines productivity. Our discussion here is not so much about multi-tasking, which is a symptom of where we find ourselves. Our concern points to the battle for our attention. Publicists and marketers have learned how to attract attention. They know that “attention” is the most valuable commodity of our age. Many books have commented on “attention-deficit” and the “attention economy.” Today, marketers know what to say, how to say it, and when to say it to steal our attention for their product, service or cause. Business schools teach techniques to leverage attention-share in addition to market-share. We are hopelessly susceptible to these wily ways. Our collective attention deficit disorder signifies such a pronounced battle that workplaces have mainstreamed mindfulness and are stressing the need for sleep and recovery to sustain focus. Our Attention is the span of our focus on matters. This consists of directed attention on a goal, task or result. It answers the question, to “What” matters am I paying attention? Greater focus finds us expanding attention for doing more. Our Intention or priority is the depth of our concentration on purpose. 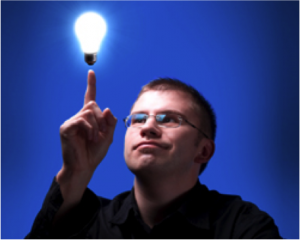 We concentrate to delve below thoughts or ideas for a sustained period. We read a book and reflect on passages, writing in the margins and walking with and integrating its ideas; rather skimming an ebook to find quick answers. Intention requires purpose or commitment, and answers the question, “Why” am I focused on this matter? We engage life intentionally to access priorities among the noise of life. Let me share some thoughts here. We’ve been trained to manage attention, which provides only a partial view of life. Like the jet-skier, we skim the surface at a fast pace. We believe that “attention” to detail leads to quality, but the missing factor in that assumption is WHY we pay attention in the first place, which is due to a deeper intention, a priority – something we care about – allowing for sustained focus. 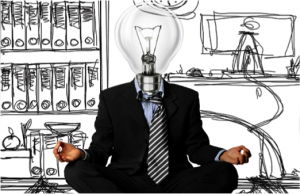 Moreover, we require concentration to achieve creativity, original thinking, and thoughtfulness. Deep reading, free writing, and reflective-wonder offer access to the most creative parts of our brain. Qualities of concentration such as calmness, clarity, and insight are as important to our creative process as our focus and stimulation (see blog on “disappearing spaces.”). The writings of thinker and physicist, David Bohm — considered Einstein’s’ spiritual son, and the Dalai Lama’s physics teacher — impacted my notion of intention and “thought as a system.” Bohm often referred to different “orders” of reality from which the unseen gives rise to the seen. In Bohm’s “orders,” intention is fueled by purpose or inner vitality and consciousness is its agent, giving rise to thoughts, language and eventually action to which we pay attention. Only the stillness from concentration can gain access to this field of intention: athletes recognize it as “being in the zone,” a Zen master might call it “awake,” a Taoist sees it as “being in the flow” or one with the Tao. Multi-tasking which encourages us to skim the surface without deeper concentration undermines the very innovation and original thinking required to outperform in today’s networked businesses. Demands to learn, adapt, synthesize and create are tied to scuba diving: pausing, mindfulness, reflecting and proceeding with intention. Why vs. What – Who are you? With a fast-paced and disruptive change, it’s natural to react to what’s in front of us. We become good taskmasters at managing lists and items without established priorities from declared intentions. Examine where you find yourself? 1) Task-oriented people: ATTENTION-REACTIVE: People perpetually caught in a whirlwind of to-do lists and monotonous tasks, feeling like they’re aimlessly drifting through life, working hard to catch up without direction. 2) Goal-oriented people: ATTENTION-PROACTIVE: People focused on what they want to achieve in life. Every task is to get them closer to those goals. But achieving these goals does not always lead to fulfillment. 3) Purpose-driven people: INTENTION-PROACTIVE: This group lives in alignment with their purpose. Tasks and goals are shaped by Intention; rather than being pushed to complete a task or achieve a goal, they are pulled towards a greater vision. The shift to intention (WHY) binds purpose and meaning to shape our attention (WHAT). This short clip of Michael Jr. reveals the difference WHY makes in everyday life. What’s missing for us is meaningfulness, fulfillment – purpose. This is predictable: we’ve neglected WHY we engage tasks – or more poignantly, what we care about. Care gives mundane tasks meaning. For leaders, intention (why) is critical. It is where care, commitment, and purpose reside. It shapes how we listen, speak, and our actions. Focusing on intention (why) shapes our attention – and the attempts to steal it — to prioritize certain tasks while ignoring others. Much like casual grocery shopping finds us drawn to purchase items at eye level with colorful labels and marketing sale prices. Add a little intention, such as a grocery list, and we can select out all of the noise and focus on what we care about. What does the person writing this email care about? What is my commitment to engage with this person or in this task? How can I support this person to create accomplishment? What learning can I take from this interaction to support my work and relationships? What possibility can I create in this email? Rather than just jet skiing across the surface of life (attention), take a dive (WHY) every so often by clarifying your intention to shape your attention. Intentional action and communication involve deeper thought, greater clarity, more detail, and the very care that moves others to action. When rushing through a task, we skip past critical details, and important concerns, and considerations. Unnecessary errors find us looping back to clean up details to fill gaps – all taking more time, and often delaying results. More importantly, we become known as careless. When focusing on intention, WHAT we pay attention to comes from a deeper purpose or care. Intention clarifies WHY we choose WHAT we pay attention to as an organizing principle that prioritizes our time and energy: distractions, temptations or seductions become obvious and easy to exclude, dismiss or ignore. Care emerges, and with a clear WHY leaders choose from purpose rather than react to a plan.